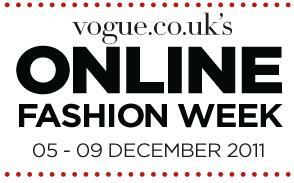 The long awaited Online Fashion week has finally arrived with a wide array of global retailers taking part in collaboration with British Vogue. Everyone is invited to view the latest collections in the comfort of their own homes or offices, on their phones or on their ipads. However you choose to see the fashion week, one thing is for sure, this week is going to be massive. The event runs for five days, twenty-four hours a day and offers consumers the perfect opportunity for starting their Christmas shopping whilst also benefitting from exclusive offers. Retailers also contribute a percentage of their profits to charity via Vogue's collaboration with the website 'Give As You Live'. Today at London Department Store, Harrods, if you buy something from the Elle Macpherson's Intimates Lingerie range, the first twenty customers receive a free scented candle, as pictured below. Jenny Packham is holding a flash sale, offering 10% off all items online over the duration of the Online Fashion Week. All you need to do to claim the discount is type in the code VOGUEJP01 at the check out and in addition to this you will automatically be entered into a prize draw to win a £1,500 dress from their Autumn/Winter 2011/12 collection. 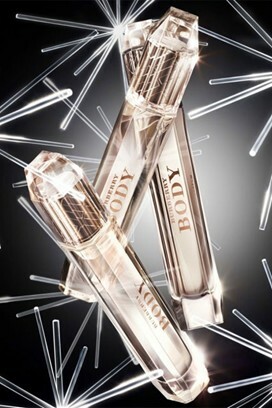 Burberry is offering a free sample of their Burberry Body perfume to anyone who signs up to their newsletter over the duration of Online Fashion Week. In addition to this act of generosity, they are also showcasing their festive collection for the first time.